Uzbekistan is a rule-of-law democratic state. The head of state is the president. The supreme state representative body is the Oly Mazhlis of the Republic of Uzbekistan. The country's top industries are gold-mining and cotton production. Uzbekistan exports cotton, gold, natural gas, mineral fertilizers, metals, textiles, food and cars. The country imports mainly industrial and chemical products as well as food and metals. Russia (21%) is its main trading partner. Uzbekistan has a traditional bilevel banking system headed by the Central Bank of the Republic. The national currency of Uzbekistan is the sum. Integration of the Republic of Uzbekistan into the global economy depends on a number of steps being taken to improve the country’s national regime for combating the legalization of criminal proceeds and terrorist financing (AML/CFT) in compliance with international standards. In 2004 the Parliament adopted the Law on AML/CFT, which entered into force in 2006. In April 2009 the Parliament of Uzbekistan adopted a new version of the Law On Combating the Legalization of Criminal Income and Terrorist Financing, which was signed by the president. Experts from the International Monetary Fund, the World Bank and the UN Office on Drugs and Crime assisted in drafting the law. The country’s financial intelligence unit (FIU) is the Department on Combating Economic Crimes under the General Prosecutor’s Office of the Republic of Uzbekistan, founded by a government decree of 6 July 2001. Initially, the department was created as a tax enforcement body. By a Cabinet of Ministers decree of 28 November 2002 it was transformed into the Department on Combating Fiscal and Currency Crimes and was tasked with enforcing currency laws. In 2018 it was transformed into the Department on Combating Economic Crimes. The department is a law-enforcement-type financial intelligence unit and has a number of tasks related to combating money laundering and terrorist financing as well as tax and currency crimes and recovering losses associated with these crimes. The head of the department is equal in status to the General Prosecutor is appointed by the President of the Republic of Uzbekistan. The Acting Head of the Department is Mr. Dilshod Rahimov. Head of the Department for Combating Economic Crimes, Uzbekistan's General Prosecutor's Office. Born on April 25, 1978 in the Jizzakh Region. 2000 – graduated from the University of World Economy and Diplomacy. 2002 – graduated from Tashkent State Institute of Law with a master's degree. 2006 – graduated from Tashkent Financial Institute. 2005-2010 – a staff member of the Institute for Monitoring of Current Legislation under the President of the Republic of Uzbekistan. 2010-2012 – a staff member of the Department for Combating Tax and Currency Crimes and Money Laundering, Uzbekistan's General Prosecutor's Office. 2012-2018 – a staff member of the Central Office of Uzbekistan's General Prosecutor's Office. 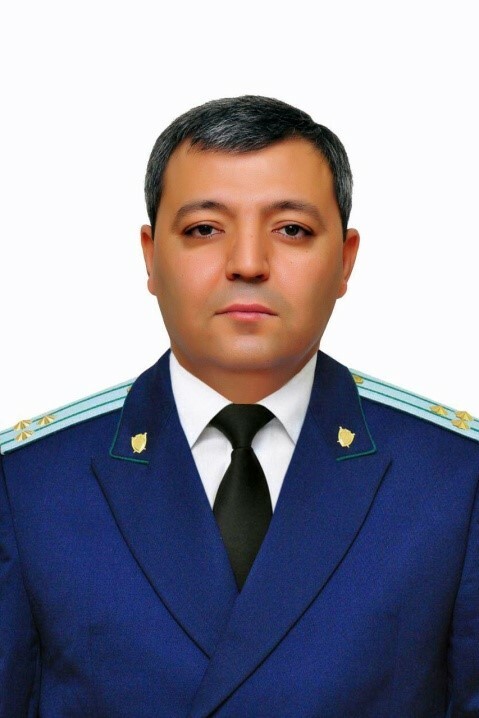 2018-2008 – First Deputy Head of the Department for Combating Economic Crimes, Uzbekistan's General Prosecutor's Office. 2 August 2018 – appointed Acting Head of the Department for Combating Economic Crimes, Uzbekistan's General Prosecutor's Office. 15 January 2019 – appointed Head of the Department for Combating Economic Crimes, Uzbekistan's General Prosecutor's Office. Uzbekistan joined the EAG as a member state in 2005. Before that the country had an observer status. The EAG mutual evaluation mission of Uzbekistan took place in 2009. The mutual evaluation report was approved by the 12th EAG Plenary. The 22nd EAG Plenary meeting was held in Uzbekistan in May 2015.